Italian forward Paolo Di Canio was never a huge super-star on the football pitch during his football career. He was very good, in fact he was good enough to play both in the top tiers of Italian and English football, but perhaps he would be a lot less noticed as a player if it was not his antics that usually had little to do with football itself. Born and raised in the ‘blue collar’ part of Italian capital Rome, Di Canio was very likely to grow up an AS Roma supporter as the majority of football fans from the area of his residence were. But Di Canio chose his own path from an early age, turning his fascination with bitter rivals S.S Lazio into a lifelong passion. Di Canio in fact started his professional career with the club he loved as he signed for Lazio in 1985. Four years later Di Canio became the hero of the club’s supporters as he scored a game-winning goal against arch rivals AS Roma in a Derby della Capitale. 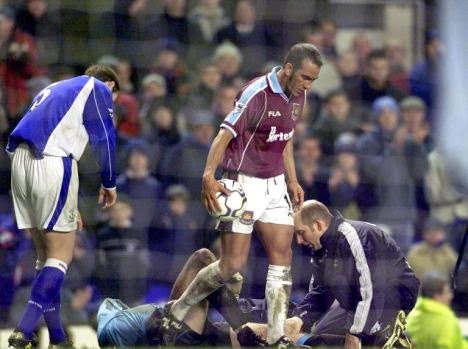 But as much as he was a hero to the Lazio faithful, Di Canio was also a villain on many occasions. The Italian was well known for his ‘short fuse’ the led to angry outbursts. Di Canio left his second professional club Juventus after an altercation with then manager Giovanni Trapattoni and then again with Fabio Capello, which essentially ended Di Canio’s two year stint at AC Milan. But Di Canio’s actions around the football pitch were not the only to raise eyebrows. Paolo Di Canio has for many years proclaimed to be a fascist. Aligning himself with such views was not welcomed by many in the modern game and labeled the Italian an outsider. Paolo does not hide his beliefs however and sports numerous tattoos of fascist imagery on his body. On his return to Lazio in the mid 2000s after an 8 year stint in British football, Di Canio grew even closer with the right-winged ultras of S.S. Lazio and celebrated numerous goals by emulating the fascist salute towards his fans. The salute was an unwelcome act and Di Canio was banned for one match and fined seven thousand Euros. When asked about his behaviour Di Canio was quoted saying "I will always salute as I did because it gives me a sense of belonging to my people ... I saluted my people with what for me is a sign of belonging to a group that holds true values, values of civility against the standardisation that this society imposes upon us." In 2010 Di Canio attended the funeral of Paolo Signorelli, a senior fascists who was convicted for his involvement in the Bologna Massacre, a neo-fascist terrorist bombing that killed 85 people at the central station in Bologna, Italy. His days in the United Kingdom were not uneventful either however. With his first club Celtic in Scotland, Di Canio was named Scottish Premier League player of the year, but the Italian had run-ins on the pitch with Ranger players and could not agree over wages with his own employers, so after refusing to join his team at pre-season, Di Canio left for England where he joined Sheffield Wednesday. While with Wednesday, Di Canio managed to push referee Paul Alcock in a match with Arsenal and was banned for 11 matches. In his next club West Ham United, Di Canio seemed to appreciate the opportunity as the striker refrained from his usual ways and stayed mostly out of the public eye aside from his impressive form on the pitch. After four years at West Ham Di Canio signed for Charlton Athletic, but after his form started to diminish the Italian went back home and re-joined Lazio in 2004. After the end of his playing days Di Canio went into management, and although his rebellious ways seemed to be behind him, the Italian’s reputation preceded him. When Di Canio was hired by Swindon Town for his first managerial role, trade union GNB terminated their sponsorship deal with the club. 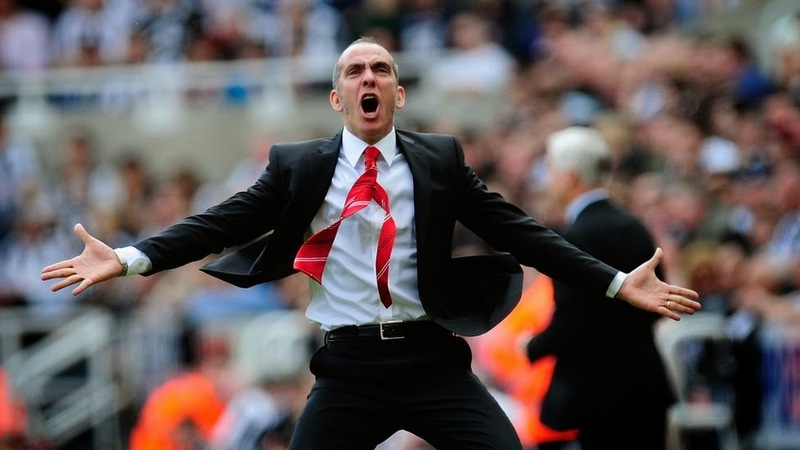 Then again, when Paolo Di Canio was appointed bench manager at Sunderland the Black Cats’ vice-chairman David Miliband left his position at the club. In both cases Di Canio’s political views were cited as the issue. Ironically, Di Canio received a FIFA Fair Play award during his time with West Ham United in 2000. In a match against Everton, Toffee goalkeeper Paul Gerrard twisted his ankle trying to clear the ball at the edge of his penalty box. Di Canio’s teammate took the opportunity to cross the ball to the Italian who was standing inside the penalty area, but instead of putting the ball into the empty net Di Canio caught the ball with his hands and stopped the play, pointing to the injured keeper. Everton’s supporters showed their appreciation with a standing ovation for the Italian at Goodison Park, but it was FIFA who showed even more support to an act football’s governing body called “a special act of good sportsmanship” and awarded the controversial striker with the Fair Play award.